The case study areas of Istanbul have been selected to be on both the European and the Asian side, although they are mostly located on the European side for the purpose of easier logistics of the project surveyors. The selected neighborhoods represent very different urban forms emerged or developed in different eras under various circumstances. Balat and Ayvansaray are two neighbourhoods laying in Fatih district of Istanbul. For the case study we combine those. On the historical peninsula, the neighborhood is located on the southern shore of Golden Horn. There live mostly Greeks and Armenians in the area, but now the more immigrant families have migrated from Anatolia to Istanbul. The street structure, even if the grid structure is visible in some regions, is mostly organic. In this neighborhood three or four-story buildings and even detached houses are usual. People who live there can meet daily needs on street markets. There are bus connections as well as a metrobus stop providing direct access to the city center, but there is no metro line available. There are ferry services to the Üsküdar district near Anatolia, though it is not very active. Acoording to official data of the year 2014 there are 33.845 inhabitants in this combined neigborhood, with a total size of 106ha. These two neighbourhoods combine one study area, Type 1. It is located in Fatih District on the European Side, which is one of the very central one in İstanbul. The Street pattern in this area is quite organic. 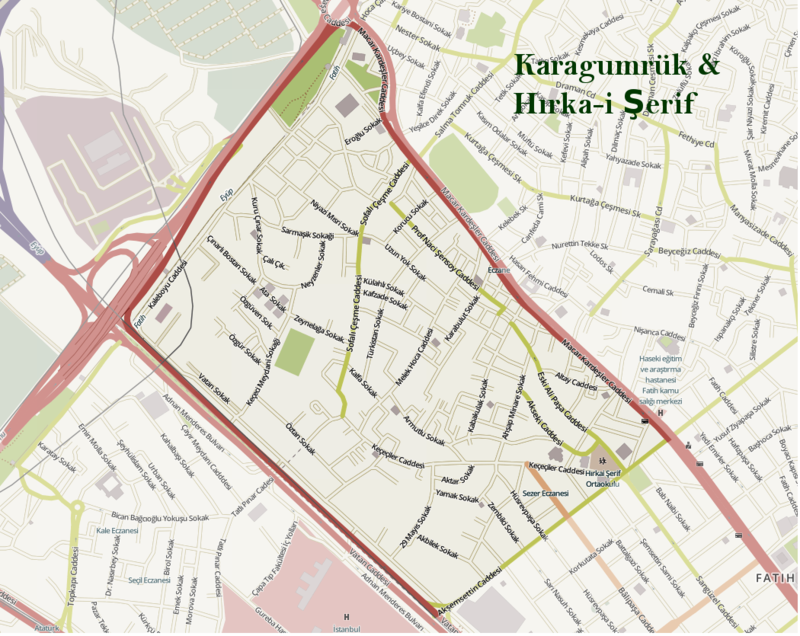 This area is bordered by Adnan Menderes Boulevard from the south and Fevzipaşa Street from the north, which are also used for public transport vehicles. Adnan Menderes Boulevard serves around 28 bus lines, and the other one is 20. Also, accessibility by metro is provided by Yenikapı-Atatürk Airport line with two stops (Emniyet & Topkapı) on the southern part which is also integrated with metrobus line and other metro lines. Total area of these neighbourhoods is roughly 75 ha. According to Turkish Statistical Institute, 2015 total population of these areas is 35.582. Acıbadem neighbourhood is type II. It is located in Kadıköy District on the Anatolian Side. 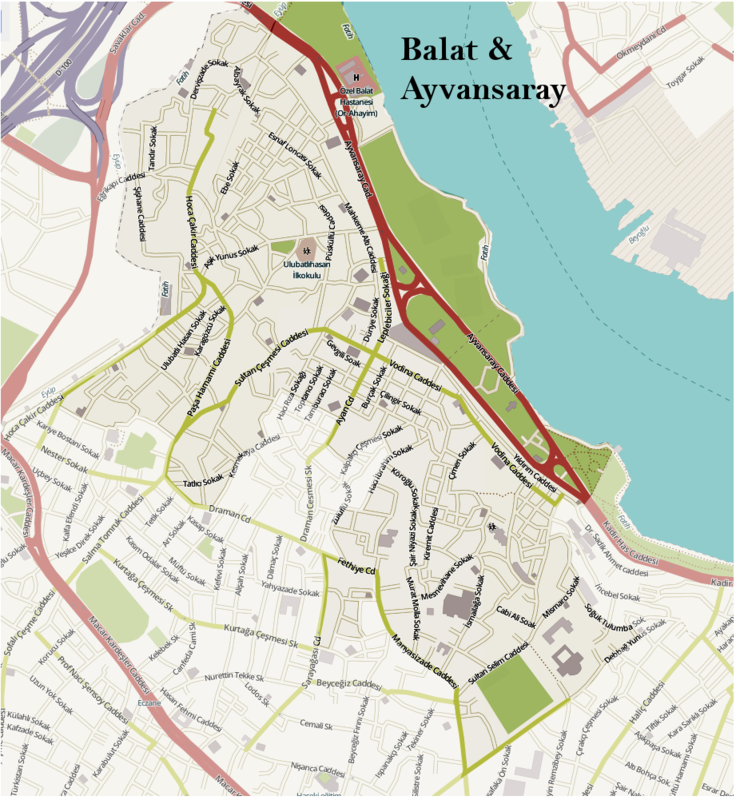 This neighbourhood is divided by D100 highway and Acıbadem Street. On D100 there is a metrobus line which is connected to ‘Beylikdüzü’ on the Anatolian Side. According to İETT, Acıbadem Street serves around 6 bus lines and D100 is 12. 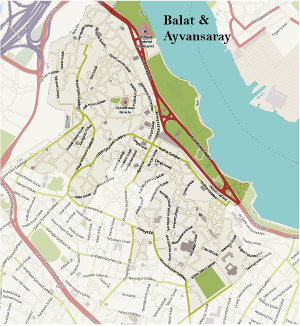 Also, there is a Marmaray stop in this area which is connected with various metro lines. According to 1946 and 1966 satellite images, while there were almost nothing in this area in 1946, in 1966 southern part of D100 around 5.5 ha area was built up. Today, in some regions of this neighbourhood, there are housing complexes. Area of this neighbourhood is roughly 47 ha. According to Turkish Statistical Institute, 2015 total population of Acıbadem is 30.406. 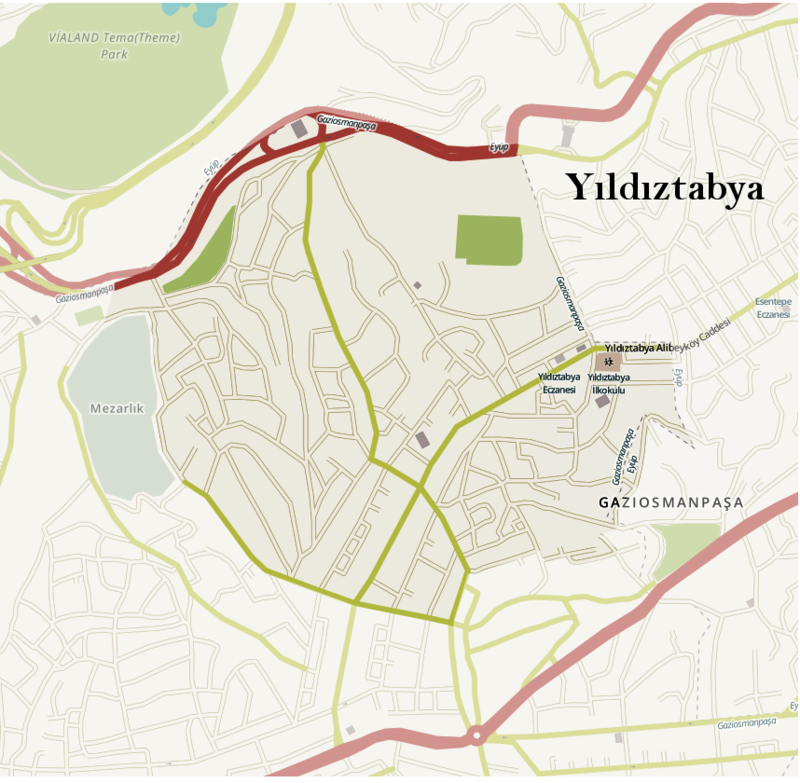 Yıldıztabya is a neighbourhood connected to the Gaziosmanpaşa district of Istanbul. 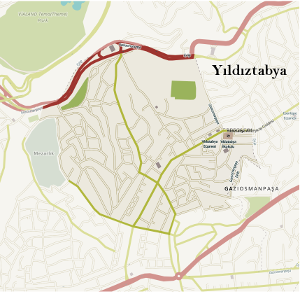 The street structure of Yıldıztabya is more organic because it is not a very new settlement. There are shops on the street where people can meet their daily needs. The only options of transportation mode are bus and minibus. It is the biggest advantage of having the bus lines which are considered as the center in Istanbul especially Eminönü, Taksim and Mecidiyeköy. Besides Aksaray, Topkapi also has a minibus that can be accepted as central. There are no metro or metrobus stops nearby. 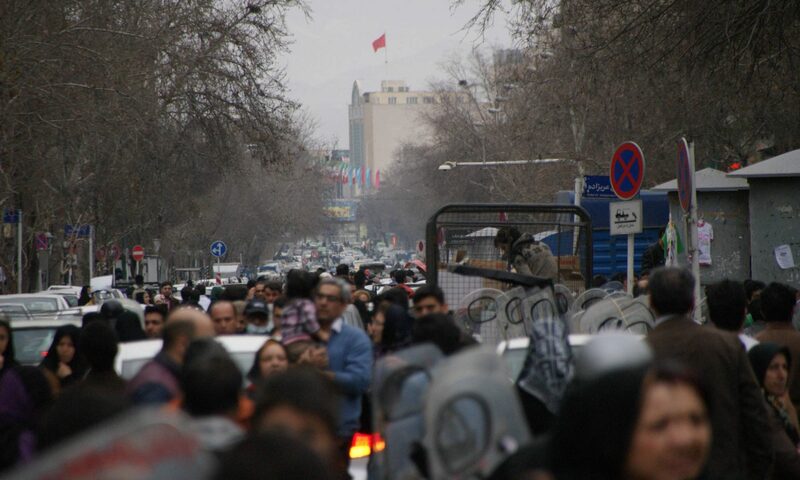 According to the data of the year 2013, the total population of Yıldıztabya is 25.676, who live on 69ha. 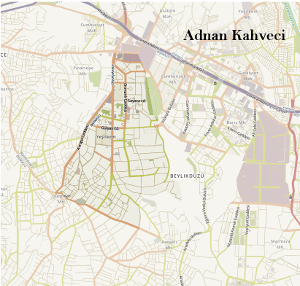 Adnan Kahveci neighbourhood is type III. It is located in Beylikdüzü District on the European Side. Beylikdüzü is located in the fringe of the city. Major transportation axle of the area is D100 highway. 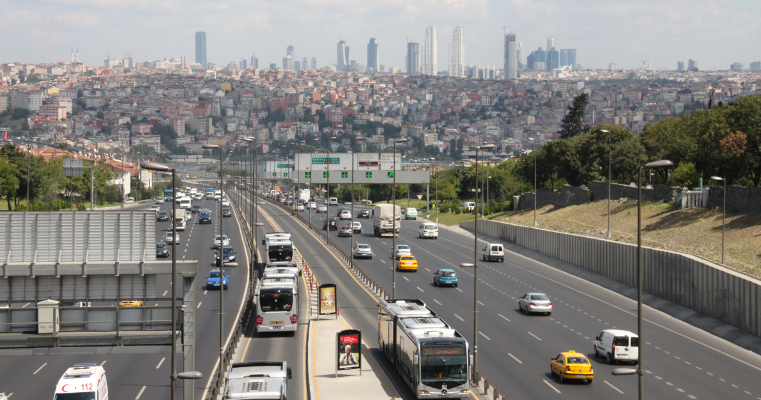 According to İETT, 15 bus lines are providing access to the neighbourhood from D100, and 4 in Yavuz Sultan Selim Boulevard. There is no metro connection to this neighbourhood, but metrobus has an important role for public transportation connection in Adnan Kahveci. Around 90’s, this area began to develop. 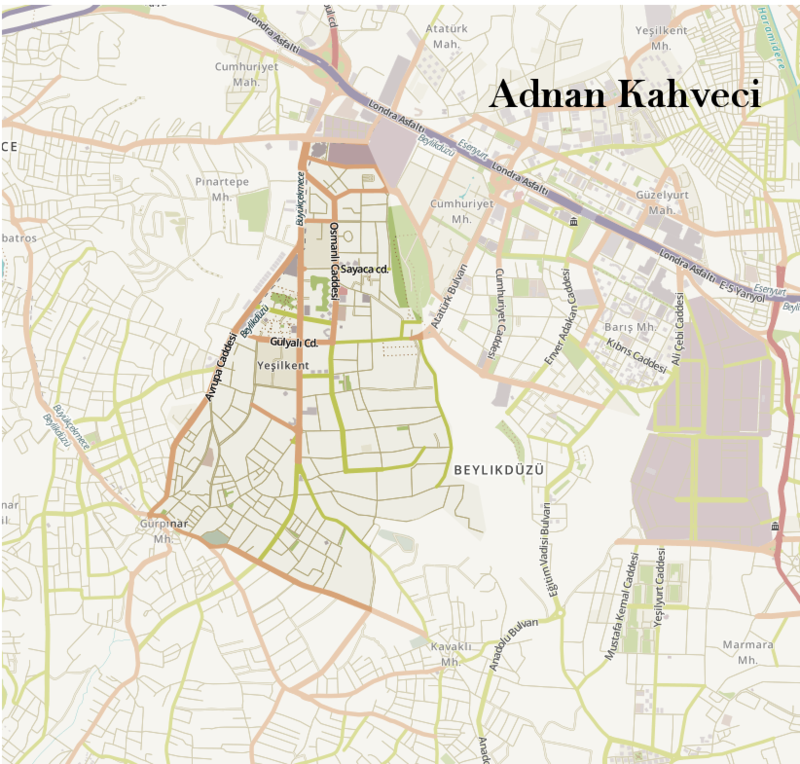 Almost all residential system is consisted of housing complexes in Adnan Kahveci. Area of this neighbourhood is roughly 54 ha. According to Turkish Statistical Institute, 2015 total population of Adnan Kahveci is 73.691. Başakşehir is a district of Istanbul. 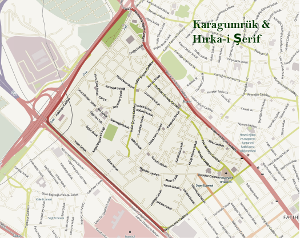 In 2008, districts were separated from Küçükçekmece, Esenler and Büyükçekmece districts. 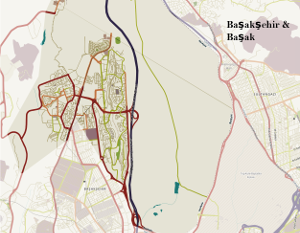 Basak is a place where sites mostly dominate because the neighborhood is from the newly established and developed neighborhoods in Istanbul. Looking at the street structure, it is seen that the planned grid system dominates. Many shopping centers are usually found in this area, but there are also grocery stores offering shopping opportunities in the sites themselves. 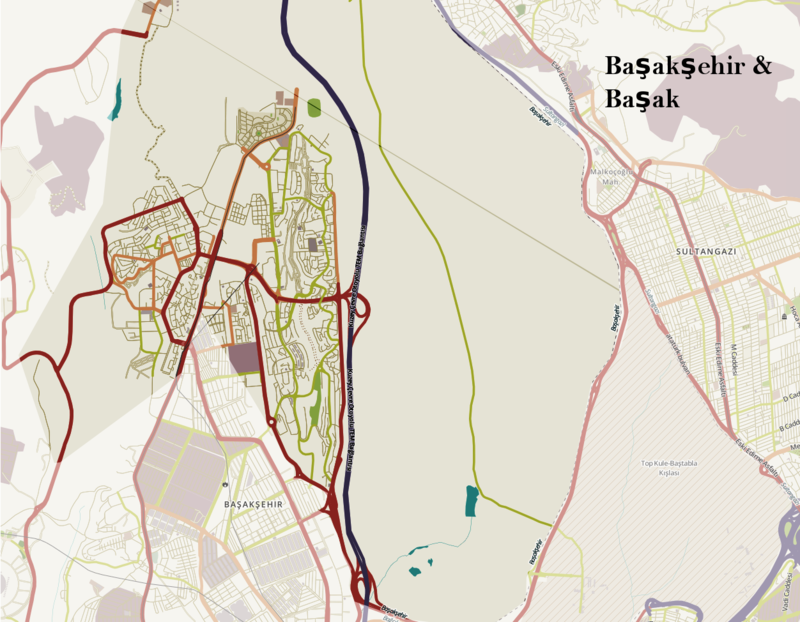 There is also the main street where shops and other service points are located.However, it is known that the population of Başakşehir started to increase with the mass housing started to be built in 1995. When looking at the characteristics of the people living in the neighborhood, it is seen that there are people working in the center, although they are usually moved and living here. Transportation to the district is via TEM motorway and subway. There are also bus services that go to central point like Eminönü,Bakırköy and Taksim as public transport. M3 Başakşehir-Kirazlı-Bakırköy metro line is the main metro line passing by and it has stops that can be transferred with metrobus.